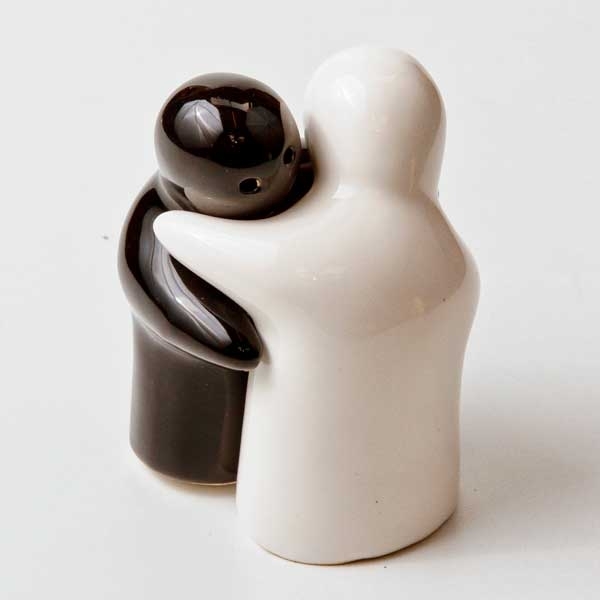 These cool hugging salt and pepper pots would make a great gift, be it Corporate or a personal one. They could be given for a keepsake for guests at a wedding, or a promotion for a restaurant chain, amongst other things . The pots/ shakers can be branded with your logo and colour, and they will definately stand out on any table and get your company noticed.